In case you hadn’t heard, Apex Legends‘ first season is now live, bringing with it a massive influx of new cosmetic items for players to work towards at their own pace. Additional character and weapon skins, badges and stat trackers are all part and parcel for Respawn’s own twist on the Battle Pass popularized by Epic Games’ Fortnite, though there are a few key differences. For starters, Apex Legends‘ own iteration of the optional subscription doesn’t feature challenges that need to be ticked off. Similarly to PlayerUnknown’s Battlegrounds, progression is tied, instead, to an experience system, meaning simply playing the game is all you’ll need to do in order to begin the climb ahead. Players wishing to stick with the free-to-play model will still have access to some tantalizing new rewards, though it’s within the aforementioned Battle Pass that the most lucrative goodies await, including what Respawn has dubbed the game’s first ever evolving skin. How does one go about getting their hands on said cosmetic, you ask? Brace yourself, dear reader, for an eye-watering grind awaits before the new weapon skin can be called your own. Before you can kit your Havoc rifle out with the new coat of paint, you’ll have to reach rank 100, the maximum, in Wild Frontier’s Battle Pass. Reach that goal, and you’ll be the enviable owner of the aesthetic reward. 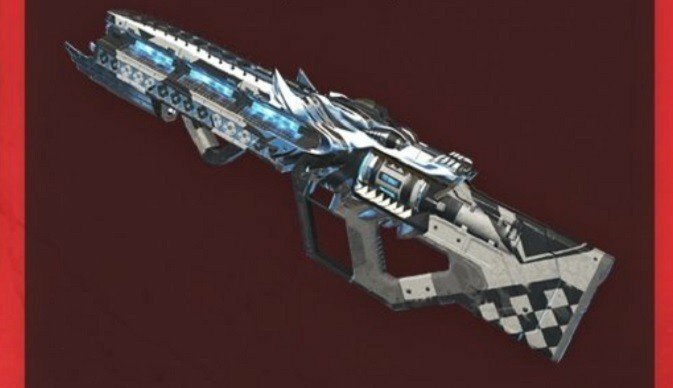 In terms of how to trigger the skin’s visual evolution, Respawn has popped onto Reddit to clarify things, stating that “The level 100 Havoc skin is the first ever 3-stage evolving Legendary weapon skin. As you get more kills (within the match), its eyes glow and its nostrils emit smoke, etc.” How many kills are required for the final stage, Respawn doesn’t say, but don’t be surprised if it numbers in the hundreds. If weapon skins aren’t your jam, there are plenty more rewards on offer as part of Apex Legends‘ first Battle Pass, and you can see here for the full rundown of what’s up for grabs.